El efecto de la información contextual sobre el endogrupo nacional en las actitudes explícitas e implícitas hacia una marca novedosa fue estudiado en una muestra de estudiantes de la ciudad de Lima (n = 59). Los resultados muestran que la información negativa sobre el endogrupo ejerce mayor influencia que la información positiva en las actitudes explicitas hacia una marca novedosa. Este efecto es entendido como una habituación de los peruanos hacia la información contextual positiva acerca del endogrupo, y a un sesgo endogrupal que actúa cuando la identidad nacional se ve amenazada por información negativa. Este sesgo guía a los participantes a favorecer explícitamente aquel producto que consideran está relacionado con su identidad social. Por otra parte, la falta de resultados visibles en las actitudes implícitas es explicada por el efecto del orden del Test de Actitudes Implícitas (IAT). Estos hallazgos son relevantes para las industrias de marketing y publicidad en el Perú, las cuales constantemente desarrollan campañas que exaltan el Perú y la identidad peruana. Albarracín, D., Zanna, M. P., Johnson, B. T., & Kumkale, G. T. (2005). Attitudes: Introduction and scope. In D. Albarracín, B. T. Johnson, & M. P. Zanna (Eds. ), The handbook of attitudes (pp. 3-20). Mahwah, NJ: Lawrence Erlbaum Associates Publishers. Allen, C. T., & Janiszewski, C. A. (1989). Assessing the role of contingency awareness in attitudinal conditioning with implications for advertising research. Journal of Marketing Research, 26, 30-43. Arellano, R. (2008). Bueno, bonito y barato (Vol. 2). Lima: Planeta. Baeyens, F. Eelen, P., & Van den Bergh, O. (1990). Contingency awareness in evaluative conditioning: A case for unaware affective-evaluative learning. Cognition and Emotion, 4, 3-18. Banaji, M. R., & Heiphetz, L. (2010). Attitudes. In D. T. Gilbert & S. T. Fiske (Eds. ), Handbook of Social Psychology (pp. 353-393). Hoboken, NJ: John Wiley & Sons. Berkowitz, L., Jaffee, S., Jo, E., & Troccoli, B. (2000). Some conditions affecting overcorrection of the judgment-distorting inﬂuence of one’s feelings. In J. P. Forgas (Ed. ), Feeling and thinking: The role of affect in social cognition. Cambridge, England: Cambridge University Press. Bierley, C., McSweeney, F. K, & Vannieuwkerk, R. (1985). Classical Conditioning of Preferences for Stimuli. Journal of Consumer Research, 12, 316-323. Briñol, P., Horcajo, J., Becerra, A., Falces, C., & Sierra, B. (2002). Cambio de actitudes implícitas. Psicothema, 14, 771-775. Chartrand, T. L. (2005). The role of conscious awareness in consumer behavior. Journal of Consumer Psychology, 15, 203–210. Claux, D. (2009). “Tengo el Orgullo de ser Peruano y Soy Feliz” Upper Class Limeños, National Identity, and Cultural Change in the 21st Century (Unpublished master´s thesis). Institute for the Study of the Americas, London, United Kingdom. Cohen, B. H. (1964). Role of awareness in meaning established by classical conditioning. Journal of Experimental psychology, 67, 373-378. Dijksterhuis, A., Smith, P. K., van Baaren, R. B., & Wigboldus D. (2005). The Unconscious Consumer: Effects of Environment on Consumer Behavior. Journal of Consumer Psychology, 15, 193-202. Eagly, A. H., & Chaiken, S. (1993). The Psychology of attitudes. Orlando, FL: Harcourt Brace Jovanovich. Espinosa, A. (2011). 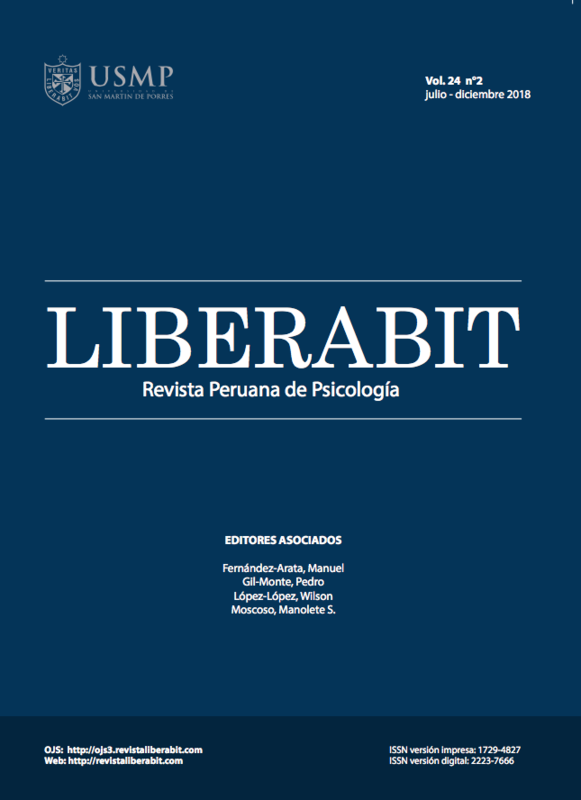 Estudios sobre identidad nacional en el Perú y sus correlatos psicológicos, sociales y culturales (Unpublished doctoral dissertation). Universidad del País Vasco, San Sebastián, Spain. Gibson, B. (2008). Can evaluative conditioning change attitudes toward mature brands? New evidence from the Implicit Association Test. Journal of Consumer Research, 35, 178-188. Kellaris, J. J., & Cox, A. D. (1989), The Effects of Background Music in Advertising: A Reassessment. Journal of Consumer Research, 16, 113-18. Kim, J., Allen, C. T., & Kardes, F. R. (1996). An Investigation of the Mediational Mechanisms Underlying Attitudinal Conditioning, Journal of Marketing Research, 33, 318-28. Messner, C., & Vosgerau, J. (2009). Order Effects in the IAT. Advances in Consumer Research, 36, 38-40. Razran, G. H. S. (1938). Conditioning away social bias by the luncheon technique. Psychological Bulletin, 37, 481. Razran, G. H. S. (1971). Mind in evolution: An East-West synthesis of learned behavior and cognition. Boston: Houghton Mifflin. Schimmack, U., & Crites, S. L. (2005). The structure of affect. In D. Albarracín, B. T. Johnson, & M. P. Zanna (Eds. ), The handbook of attitudes (pp. 397-435). Mahwah, NJ: Lawrence Erlbaum Associates Publishers. Simon, B. (2004). Identity in a modern society: A social psychological perspective. Oxford: Blackwell. Shimp, T. A., Stuart, E. W., & Engle, R. W. (1991). A program of classical conditioning experiments testing variations in the conditioned stimulus and context. Journal of Consumer Research, 18, 1-22. Staats, A. W., & Staats, C. K. (1958). Attitudes established by classical conditioning. Journal of Abnormal and Social Psychology, 11, 187-192. Stuart, E., Terrence, W., Shimp, A., & Engle, R. W. (1987). Classical Conditioning of Consumer Attitudes: Four Experiments in an Advertising Context, Journal of Consumer Research, 14, 334-49. Tajfel, H., & Turner, J. C. (1986). The social identity theory of inter-group behavior. In S. Worchel, & L. W. Austin (Eds. ), Psychology of Intergroup Relations. Chicago: Nelson-Hall. Titinger, D. (2006). Dios es peruano. Lima: Planeta. Thomas, W. I., & Znaniecki, F. (1918). The Polish peasant in Europe and America. Boston: Badger. Vignoles, V. L., Regalia, C., Manzi, C., Golledge, J., & Scabini, E. (2006). Beyond self-esteem: Influence of multiple motives on identity construction. Journal of Personality and Social Psychology, 90, 308-333.